The city of Pripyat had a young (average age 26), educated populace. As such, the city afforded a number of different cultural and arts locales to help nourish the creative, athletic and artistic talents of its people. One such place was an arts school, where this image was captured. 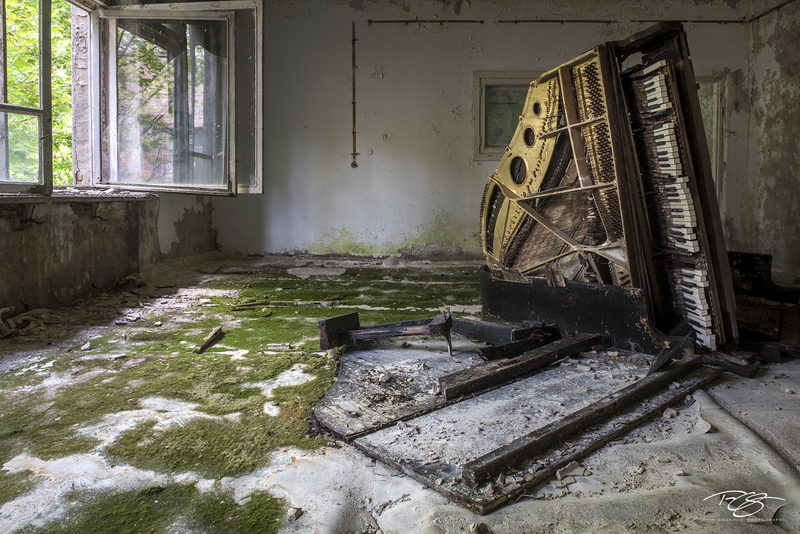 A worn, forgotten grand piano lay tipped on its side, spilling its music all over the mossy floor.